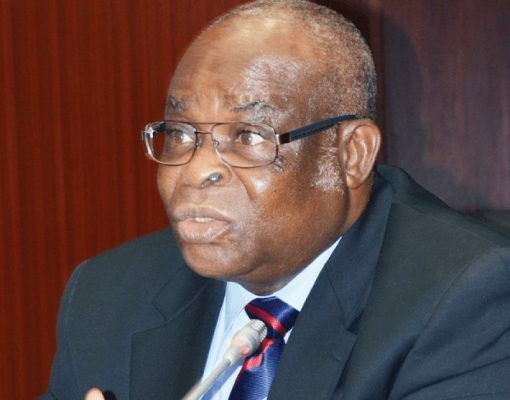 None of the fifteen former Chief Justices of Nigeria, beginning from Stafford Foster Sutton (1956 – 1958) to Mahmud Mohammed (2014 – 2016) came to office in the cloud of controversy that followed Walter Samuel Nkanu Onnoghen. A few years before his appointment, one of his predecessors, Aloysius Iyorgyer Katsina-Alu also assumed office under some controversial circumstances. Katsina Alu was recommended to President Musa Yar’adua by the National Judicial Council for appointment as Chief Justice of Nigeria and the President also wrote to the Senate for his confirmation. All this was in line with the stipulations of the Nigerian constitution. Trouble started when President Yar’adua became sick, so sick he could not even transmit a letter to the National Assembly transferring power to his Vice, Goodluck Jonathan before he was flown abroad for treatment. When the Senate approved the appointment of Katsina Alu, and the days of Justice Idris Legbo Kutigi in office as Chief Justice expired, there was no President or acting President in place to swear him in. Nigeria had no driver on the political seat. To add a judicial seat without a driver meant Nigeria was running on auto drive politically and judiciary. This was a recipe for anarchy, total anarchy. It took the ingenuity of Michael Kaase Aondokaa, the Attorney General and Minister of Justice to remind Nigerians that even though it had not happened before, the outgoing Chief Justice could also swear in his successor. Nigeria was saved from the precipice of running it’s affairs without a president and without a Chief Justice. Looking back, it would appear as if Onnoghen’s days in office were jinxed. For inexplicable reasons, President Muhammed Buhari found it difficult to forward his name to the Senate for confirmation even after he was recommended by the National Judicial Council. Then the President fell sick and was taken abroad for treatment. As the days drew near and Nigeria again stood the risk of running without a Chief Justice, the Vice President, Yemi Osinbajo who was then Acting President took the bull by the horn and forwarded his name to the Senate on 1 March 2017. The Senate approved speedily and he was sworn in on 7 March 2017. Just at the nick of time. Again the Nigerian Judiciary was saved. Evidently, these bank accounts were not declared by Onnoghen as required by the law. Onnoghen himself agreed that he did not declare the assets. Then came the frightening decision to dock the Chief Justice of Nigeria at the Code of Conduct of Tribunal. In the history of Nigeria, this had never happened. The Nigerian Judiciary has over the years enjoyed a good standing in international circles because of strict adherence to the principles of appointment, discipline and removal of judicial officers from office. At no point in Nigeria’s history – not even under military dictatorship – was the Chief Justice put in a dock. When the temperamental General Murtala Mohammed as Head of State fired Taslim Elias as Chief Justice of Nigeria, the international community registered a powerful protest by making him a judge and President of International Court of Justice at the Hague. The docking of Onnoghen also generated a lot of heat. Politicians from the South, South shouted that it was a plot to deny their son a chance to occupy the high office. Niger Delta Militants said they were going to resume bombing of oil installations if the trial did not stop. The trial commenced regardless on January 14, 2019 at Code of Conduct Tribunal but Onnoghen was absent. A game of cat and mouse had begun. It was then adjourned to the following week because Onnoghen faulted the summons procedure. The next hearing was slated for January 22, 2019 but he failed to show up in court again. Following his absence again, President Muhammadu Buhari suspended him on 26 January and appointed Tanko Ibrahim as acting Chief Justice of Nigeria. His office was thereafter sealed by the police even as members of the National Interest Defenders and Lawyers protested at the entrance of the National Secretariat of the Nigerian Bar Association. His suspension caused a lot of uproar from political stakeholders, lawyers and even gained international prominence from International bodies. Atiku Abubakar, a leading figure in the opposition PDP described his suspension as ‘Dictatorship Taken Too Far’.. There had been insinuations that Onnoghen was having a rough time with the Buhari government because he was a PDP supporter. His travails were made to look political. On 28 January 2019, the Code of Conduct Tribunal adjourned his trial indefinitely. Meanwhile his case went to the National Judicial Council. The Council after deliberation recommended that he be compulsorily retired for misconduct. A day after that recommendation was made, the man threw in the towel. It came as an anti-climax of what many saw as titanic legal battle royale. A brilliant legal career had just been brought down by a man who should have known better than made what by his self- admission was a ‘mistake’. More fundamentally, the Onnoghen mess has cast a huge devastating stone on the glass house of the Judiciary. Ironically and sadly, the return of democracy which should have enhanced the image the judiciary has been its greatest undoing. When in 1999, I spoke to Justice Muhammed Uwais, a very brilliant legal mind who had been one of the longest serving Chief Justice of Nigeria (1995-2006) spanning the years of military dictatorship and democracy in Nigeria, he spoke highly of the Nigeria Judiciary. I have not spoken to the learned Chief Justice Muhammed Uwais since he left office in 2006. I doubt if he will still hold the same view. This is so because we have all seen the rapid decline in the quality of judgments in Nigeria especially over political matters since 1999. Justice Onnoghen himself has been associated with some of the rather grotesque judgments since we began our democratic journey in 1999. The mess he has plunged himself in today should force the judiciary to take a good look at itself.